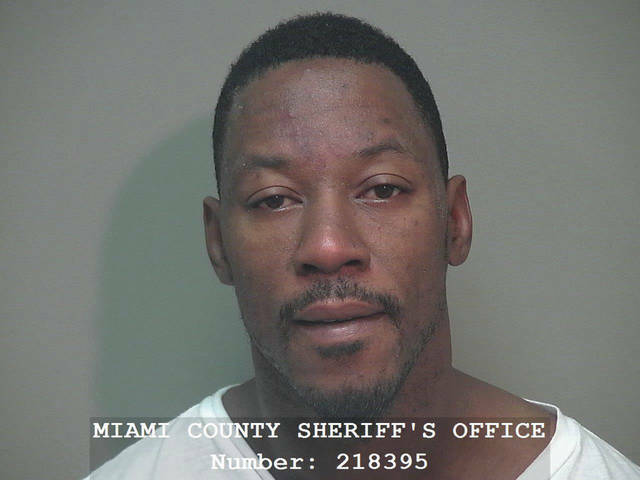 MIAMI COUNTY — A Trotwood man was sentenced to serve two years in prison for the death of a Troy man in Miami County Common Pleas Court on Friday morning. William C. Smith, II, 43, of Trotwood, was sentenced to two years in prison for third-degree felony involuntary manslaughter for his role in the death of Troy resident Willard Higgins, Jr. on Dec. 8, 2017. Smith was originally indicted in late December. Smith entered a plea of no contest in August as part of a plea agreement with state prosecutors to serve one year in prison for his role in Higgins’ death. Smith has been incarcerated since his arrest on Dec. 8 in Washington Courthouse. He had 302 days of jail credit. Miami County Common Pleas Court Judge Christopher Gee followed the joint agreement with state but imposed an additional sentence of one more year in prison to be served consecutively due to the fact that the incident occurred while Smith was on post-release control from a prior prison sentence. According to initial reports, Higgins, 40, died at Kettering Hospital in Kettering following a physical altercation with Smith in the 600 block of Walnut Street in Troy on Dec. 8, 2017. According to autopsy reports, he died of blunt force trauma. During Smith’s sentencing hearing on Friday, Smith’s attorney Dennis Lieberman said that this was a “difficult case.” Lieberman said that Smith believed he did not cause Higgins’ death but still felt sorrow for what happened. Smith became emotional during his sentencing hearing as he spoke directly to the victim’s family members and loved ones, of whom there were approximately a dozen in the court. One of the victim’s brothers took a moment to speak during the hearing, saying how he had felt anger, hate, and brokenness since his brother’s death. Gee went over Smith’s recidivism factors — noting Smith’s history of criminal conviction and how Smith had served multiple terms in prison — but Gee found that Smith had shown remorse for Higgins’ death. Gee then discussed what he had learned about the victim from the multiple victim impact statements submitted to the court. “He obviously was an important human being in the life of a lot of people,” Gee said. He said that Higgins had been described as a father figure, friend,” encourager,” and “big-hearted person” in the victim impact statements. When Gee imposed the additional year sentence on top of the joint recommendation of one year, Lieberman asked Gee if he would take into consideration the time that Smith had spent on post-release control when Higgins’ death occurred. Gee stated that he could either impose one additional year or whatever amount of time was left on his post-release control, whichever amount was greater. Once Smith is released from prison, he will be subject to three years of mandatory post-release control.